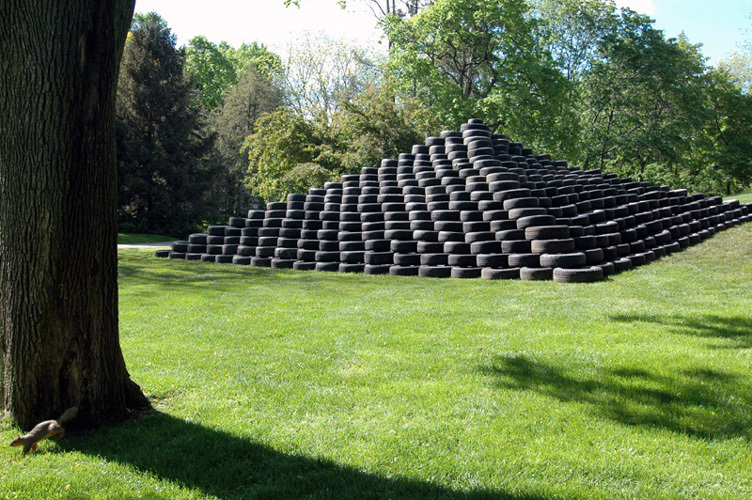 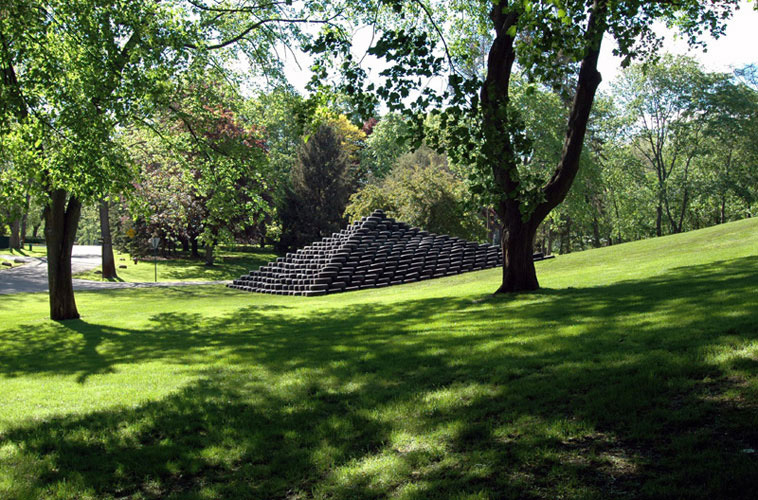 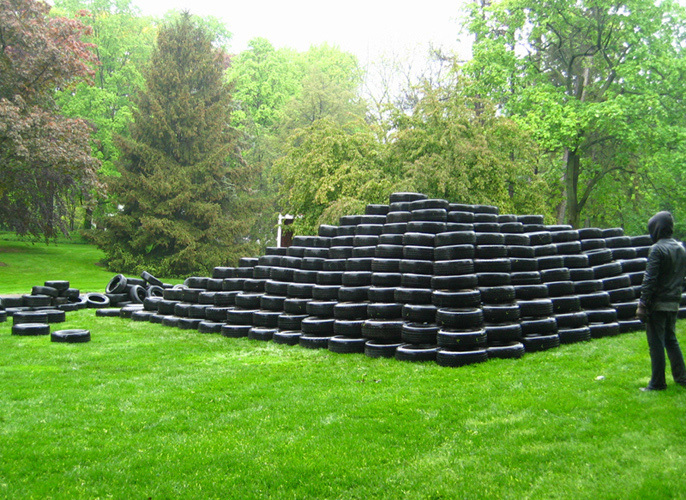 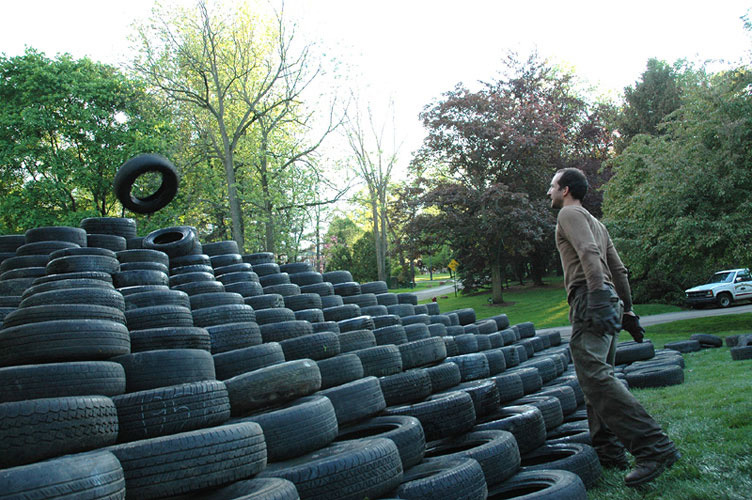 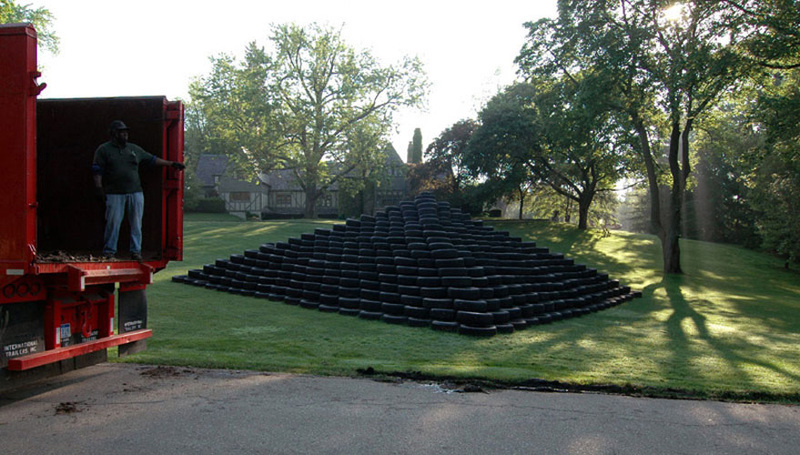 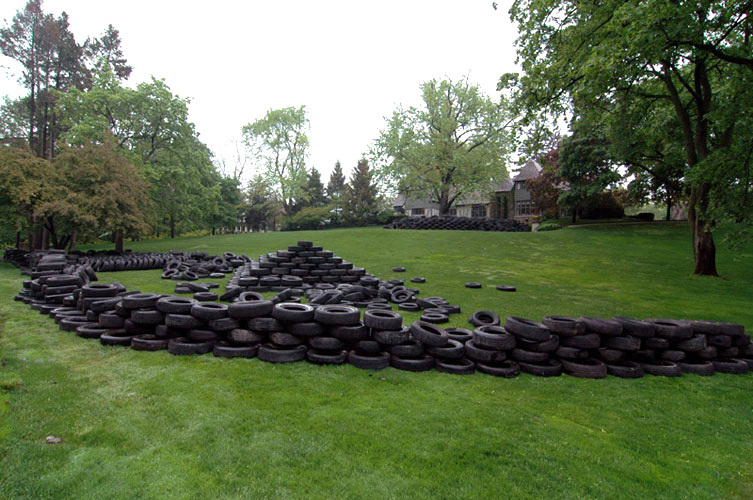 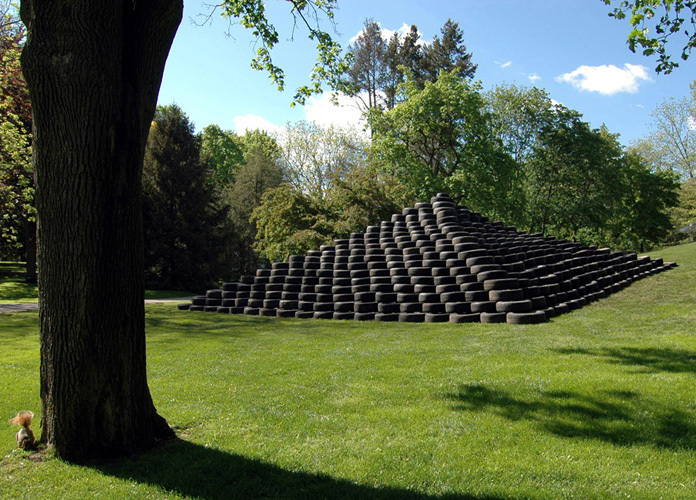 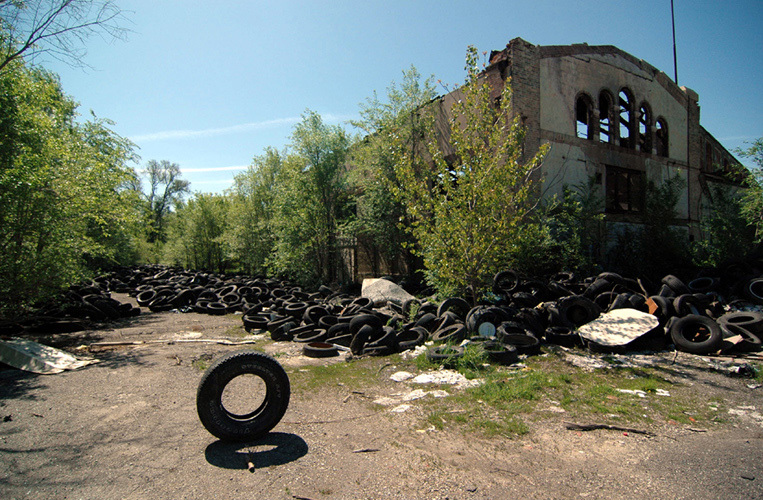 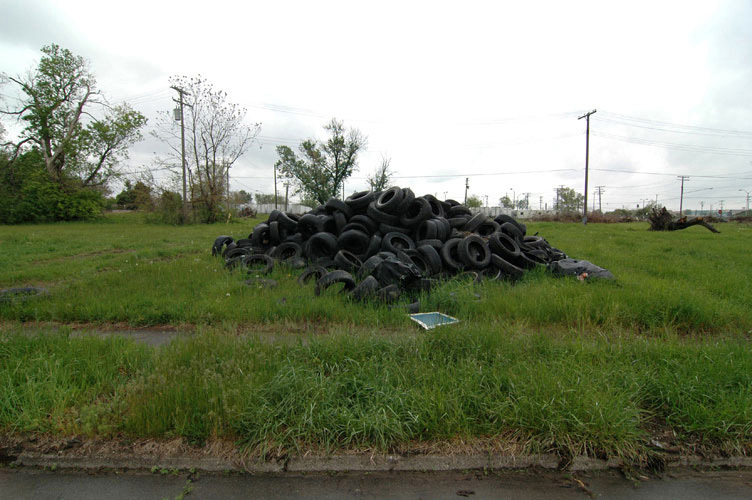 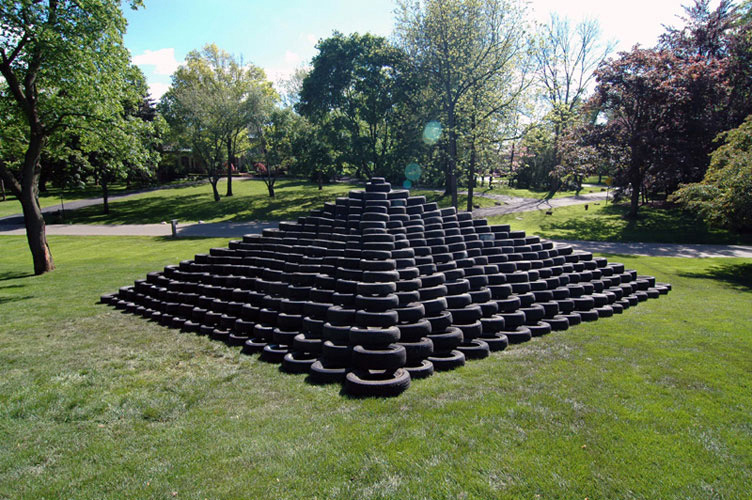 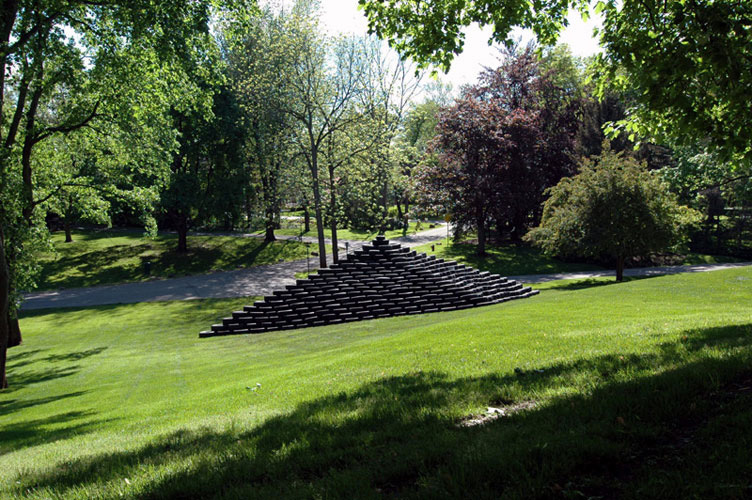 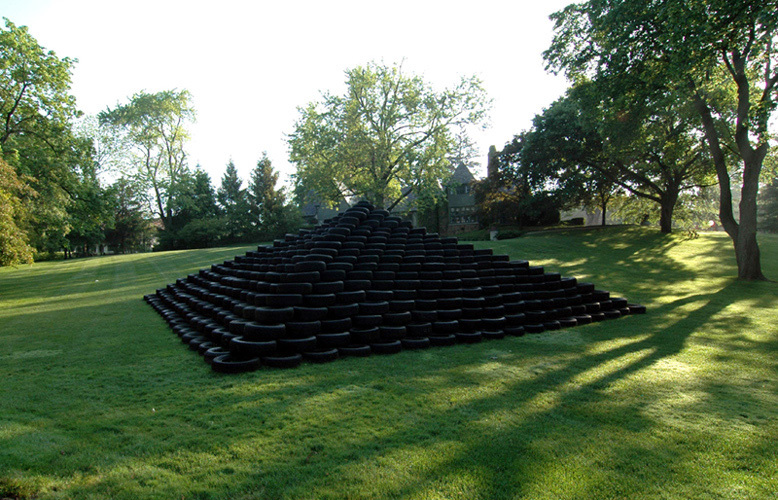 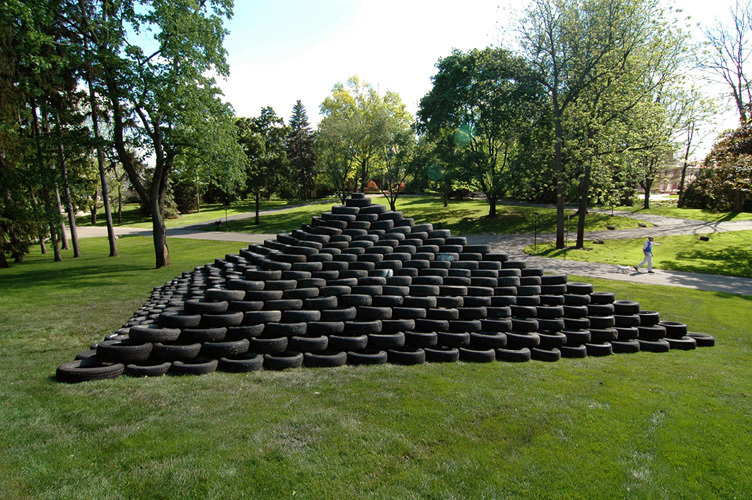 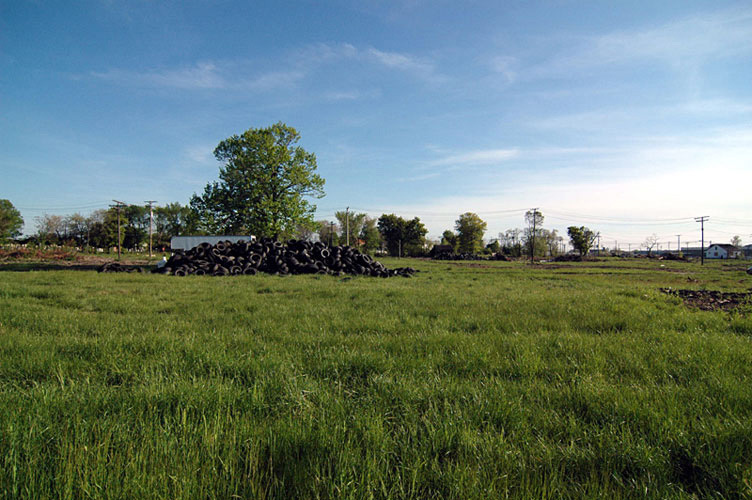 TIRE PYRAMID installation was made entirely from tires illegally dumped throughout Detroit neighborhoods and abandoned sites. 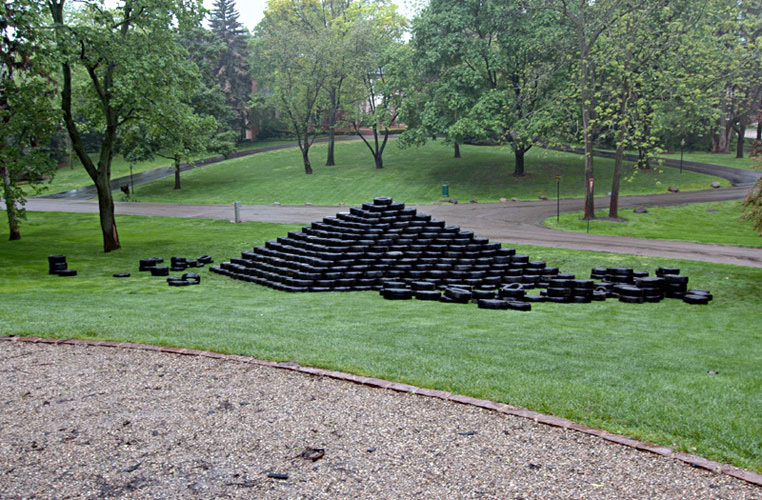 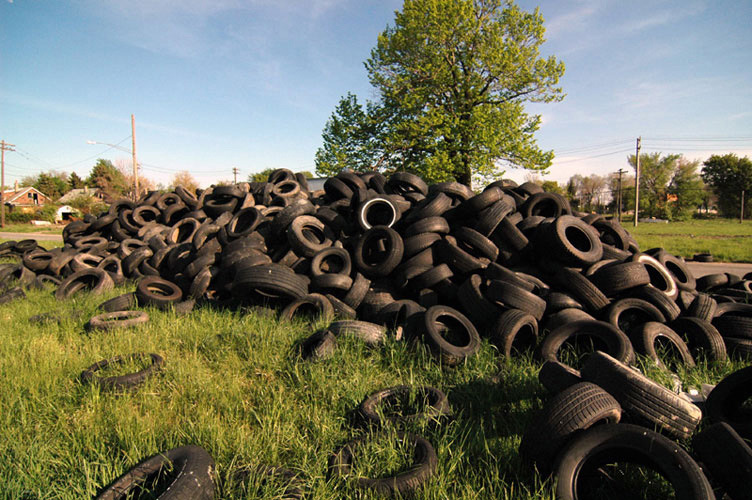 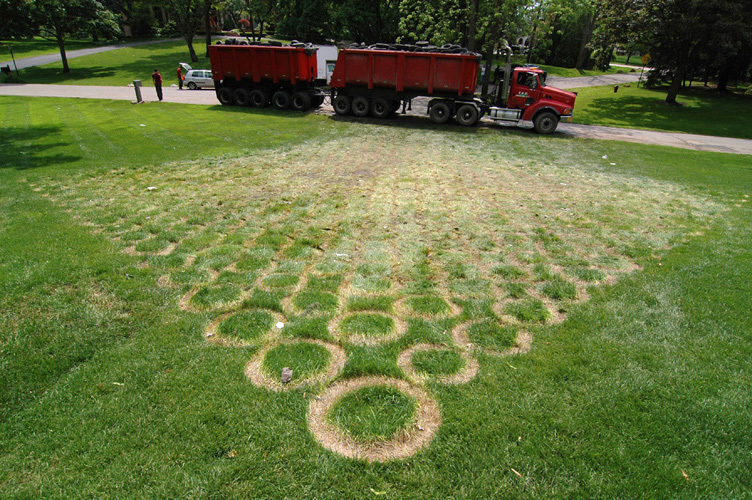 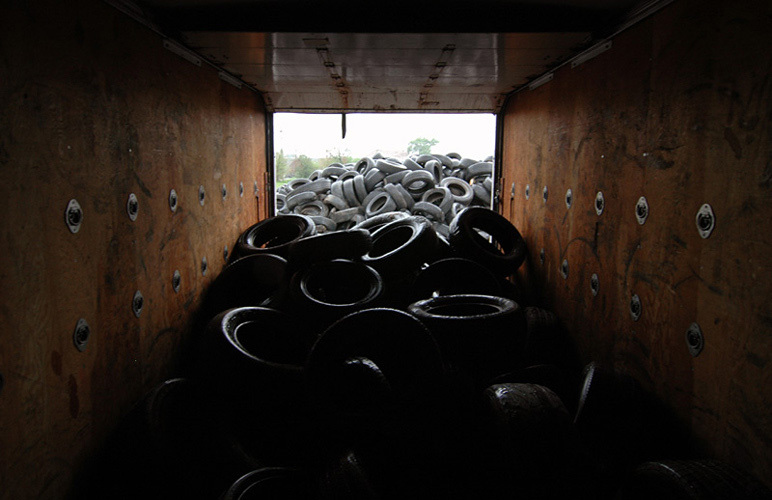 2,109 tires were gathered over the course of one week, installed on a front lawn in the suburb of Bloomfield Hills for two weeks, and finally removed for recycling at the cost of two dollars per tire. 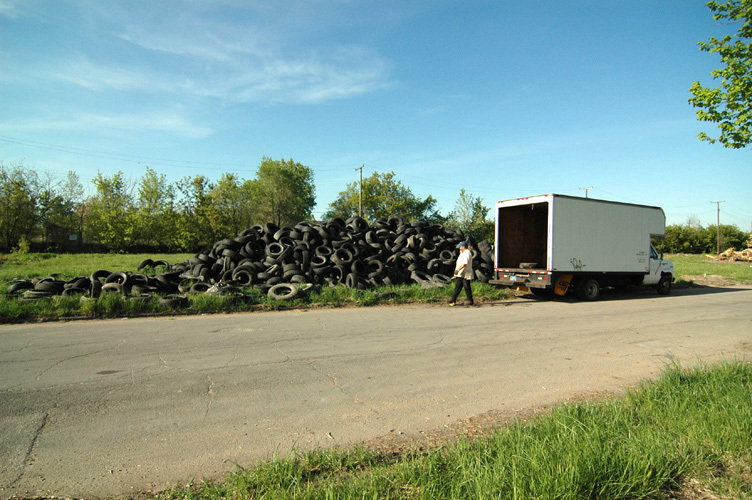 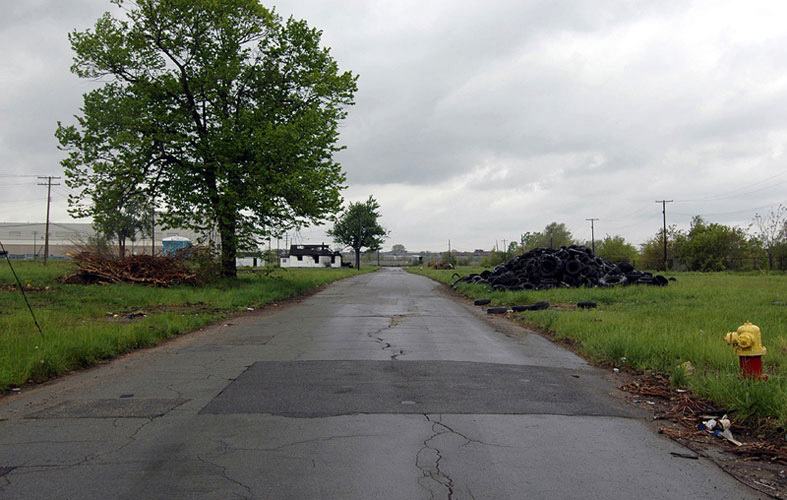 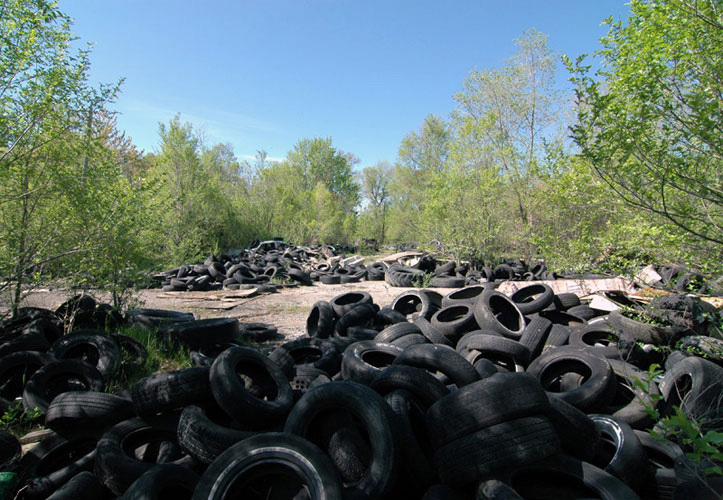 Most of the tires were gathered from two Eastside sites - the overgrown acres of the former City Airport Trailercoach Park and the road blocked streets of the I-94 Industrial Park Renaissance Zone. 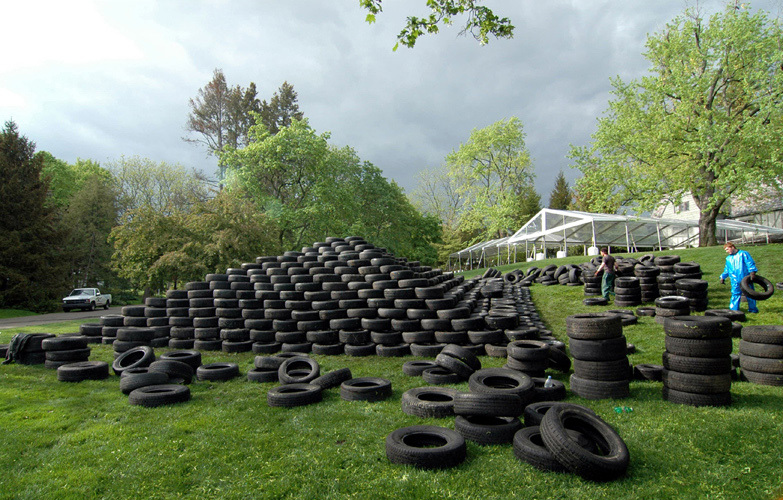 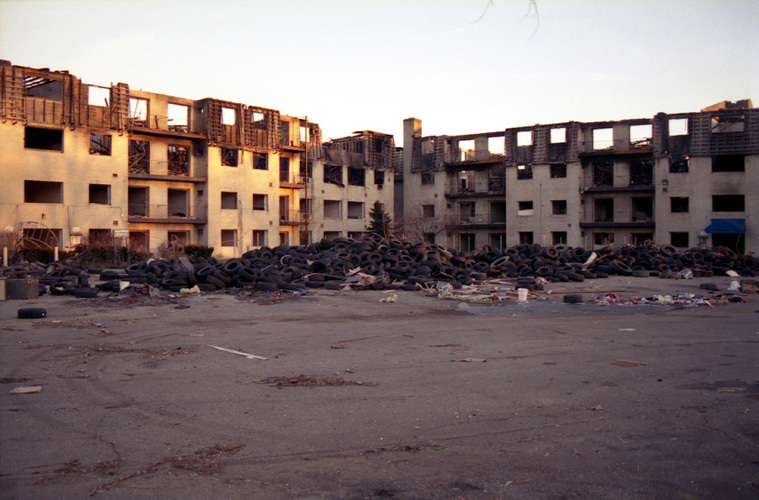 Once dismantled and removed for recycling, the tires were hauled to a recycling plant on the city's Westside, where they were unceremoniously heaped into a giant pile because the 'shredder' was broken. 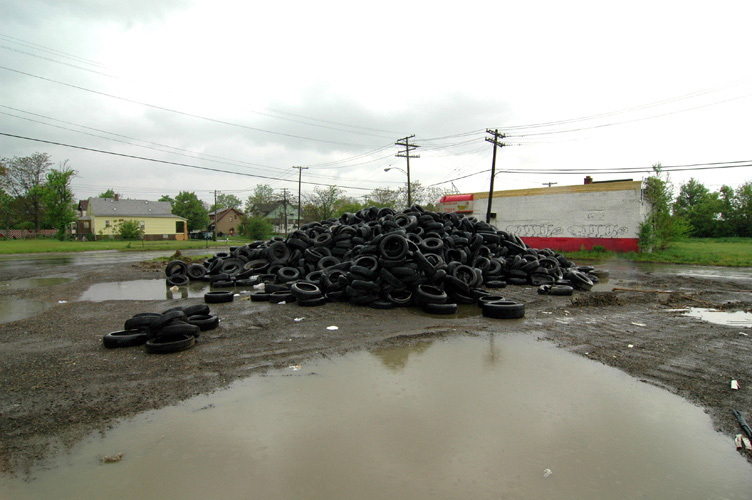 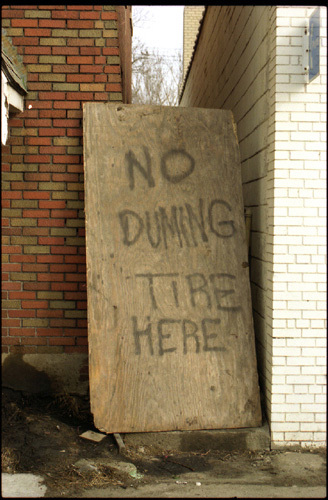 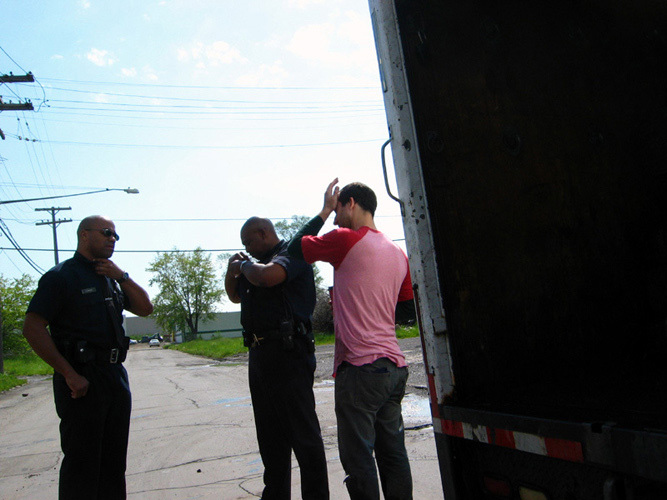 In the many years that I have worked in Detroit, there is no object more commonly dumped than tires.